The draw? Drumeo: a small Internet outfit that, over the past six years, has built itself into the most popular destination for online drum tutorials, many taught by world-renowned masters of the kit. On a recent visit, Drumeo’s headquarters are buzzing with activity. 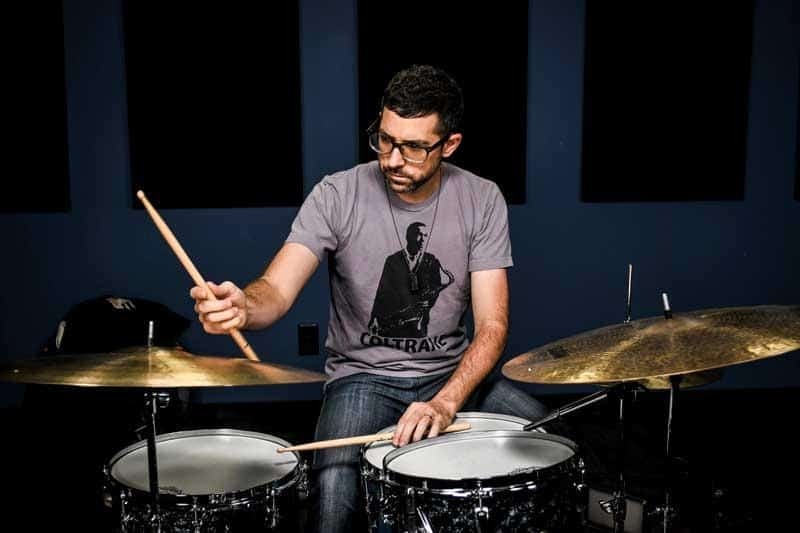 The large recording studio is live-streaming a drum tutorial by Kyle Radomsky, former touring musician and graduate of the Berklee College of Music. By Radomsky’s side is Drumeo’s community manager, Dave Atkinson, moderating questions from students tuning in from around the globe. Reuben Spyker, drumming teacher and staff member, sits in the control room, cutting between three cameras filming the kit from different angles. Jared Falk, Drumeo’s co-founder and CEO, bops along as Radomsky bangs out part of a My Chemical Romance tune before discussing techniques for avoiding wrist pain. As the discussion drags on, Falk apologizes. “Drummers are geeks,” he explains with a shrug. Falk, a drumming instructor himself, presides over this small empire with the cheerfulness of someone who can’t quite believe his luck. 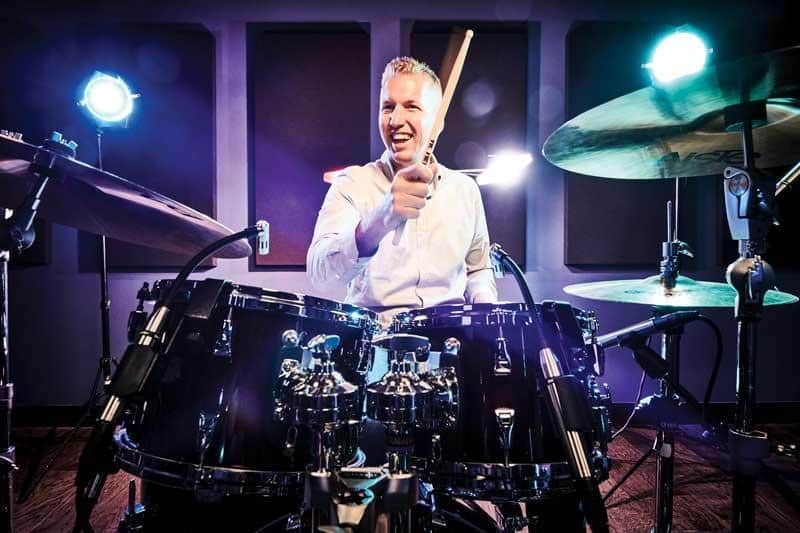 As the face of the company, the 36-year-old is a fixture in much of Drumeo’s content, from tutorials to promotional spots. With his easy smile and boyish, clean-cut charm, it’s not hard to picture Abbotsford-raised Falk touring with a Christian rock band, which he did back in 2002 with singer-songwriter Riley Armstrong. He lasted four months before deciding he wasn’t meant for life on the road. “I didn’t like being away from home,” he confesses, seated in the office he’s decorated with pictures of his wife and two young sons. So Falk returned to the business that has been in his family for three generations: Fraser Valley Specialty Poultry, the largest duck farm in Western Canada. Having spent nine months in the processing plant before his short-lived stint as a touring musician, he moved into sales, hawking ducks in Vancouver’s Chinatown and teaching drumming on the side. 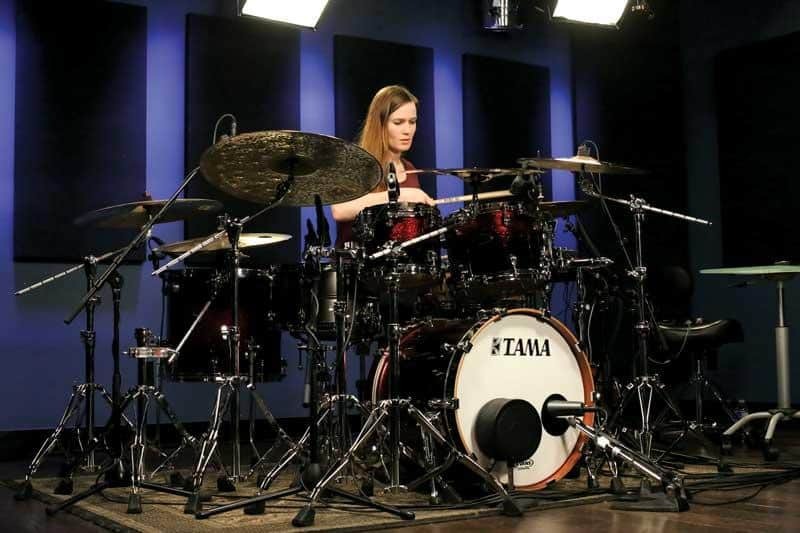 Falk’s fortunes changed in 2005, when one of his students, Rick Kettner, revealed that videos he’d uploaded to an online drumming forum were getting thousands of downloads. Sensing an opportunity, Falk pounced. 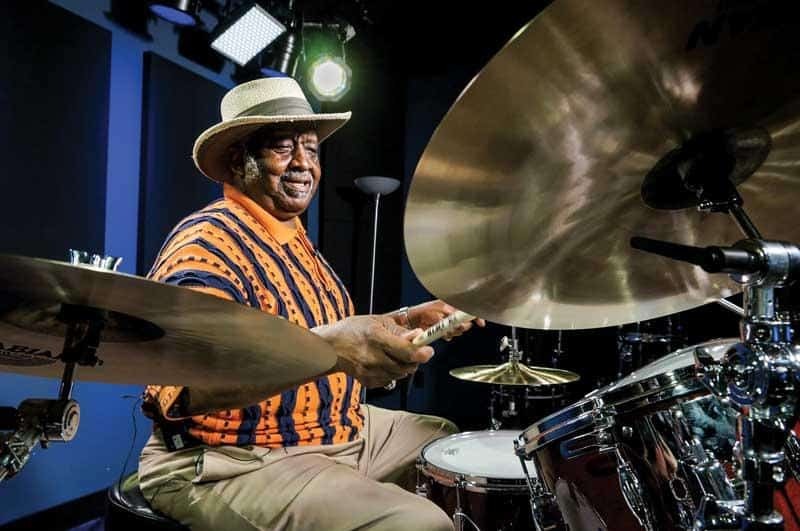 He and Kettner quickly produced a series of instructional drumming videos. “We borrowed a handicam, and we filmed it at my family’s farm. It smelled like manure in there, and there were flies flying around,” Falk recalls with a laugh. Finding an audience, the pair began selling lesson packs on eBay, and through websites such as BreakSticks.com, RockDrumBeats.com and DrumTechniques.com, for $10 to $20. Their business model proved to be slightly ahead of its time. Customers found the idea of paying for digital content difficult to grasp, and it didn’t help that the link to download the lessons was only active for 24 hours—less time than it took some to download the file, as many households were still using dial-up modems. “We got some angry people wondering where their package was,” Falk remembers. Falk estimates that he and Kettner sold about 100,000 of their DVD packages before circling back to the digital space. 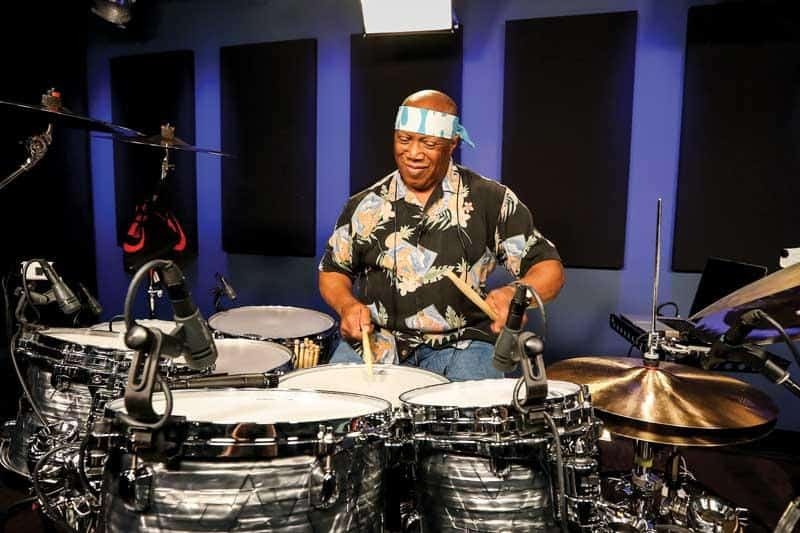 In 2011 they officially launched Drumeo, which Falk describes as “Netflix for drum lessons.” The platform provides access to drum tutorials produced in-house, hosted by teachers ranging from music legends such as Bernard Purdie (who’s played with Aretha Franklin and Steely Dan, among others) and acclaimed studio drummers like Kenny Aronoff (Bruce Springsteen, Rod Stewart, Smashing Pumpkins), to lesser-known teachers including Falk. 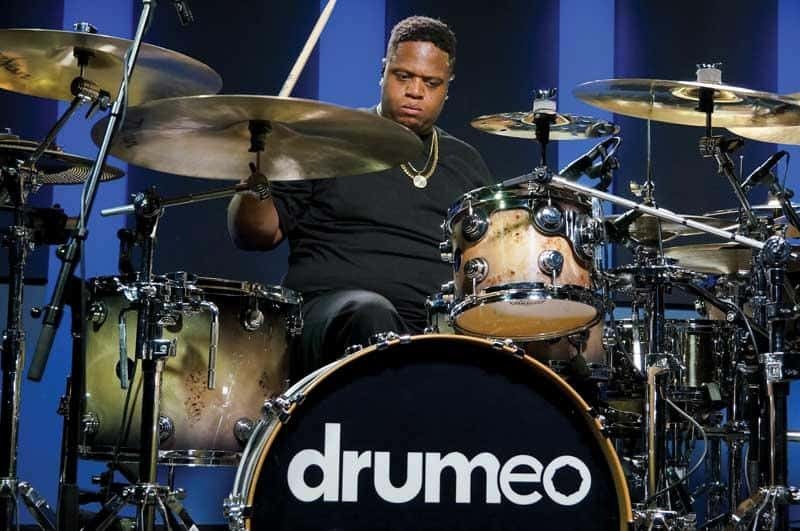 Drumeo produces plenty of free content, including interviews and demos with drumming stars, but its bread and butter comes from member subscriptions. 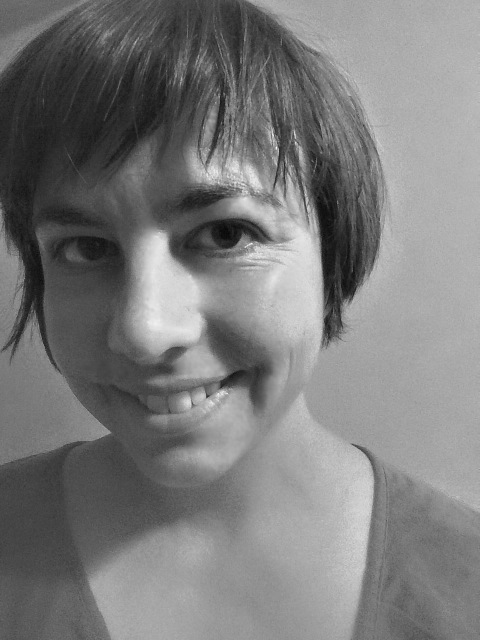 For US$29 a month, or US$200 a year, subscribers get access to members-only step-by-step courses, on-demand lessons, playalong tracks, live lessons and personalized feedback from teachers. 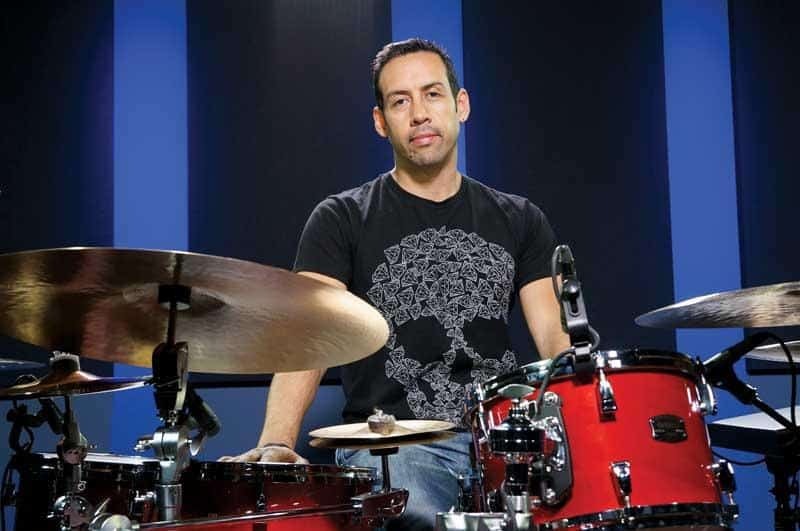 Falk bought out Kettner’s share in 2013 and steadily built Drumeo into a multimillion-dollar outfit. Today, the company has about 10,000 active Drumeo membership subscribers, close to 390,000 Facebook followers and more than 700,000 subscribers to its YouTube channel. Voted Best Drum Educational Website by readers of Drum! magazine three years in a row, the company employs 25 full-time staff. After posting $4.3 million in revenue last year, it’s on track to hit $7 million in 2018. Asked why such renowned musicians would take time to hang out in Abbotsford for a couple of hours and teach drum skills, Falk has a ready answer. “Drummers are normally in the back [of the band], and they normally don’t get any recognition, or very little,” he says. Offering them direct access to Drumeo subscribers puts them in the spotlight for a change. Falk is territorial about the Drumeo brand. “Build that brand, and then own the land it sits on,” he declares. That philosophy explains why Falk regards social media platforms with caution: “YouTube can change an algorithm, and your videos go from getting 100,000 views to 10,000.” But social media has been good to Drumeo—take a 2014 Kickstarter campaign to renovate and expand the company’s headquarters, which raised more than $100,000, well above its original goal of $25,000. The spamming incident does hint at rivals—and Drumeo could be in for more battles as it stakes a claim for online territory already occupied by entities such as GuitarTricks and Playground Sessions. Its tutorial sites for guitar and piano, Guitareo and Pianote, both launched in 2016. So far, the results have been mixed. While Guitareo had more than 403,000 YouTube subscribers and 2,500 paying members as of this March, the uptake on Pianote has been slower, with roughly 67,000 YouTube subscribers and 1,000 paying members. Whether Falk can replicate the success of Drumeo with these new ventures remains to be seen, but his achievement to date is no fluke. “We’re very strict on setting goals and hitting deadlines,” he stresses. “We always hit a deadline. That’s one of our values.” His next big push: translating Drumeo content into Spanish, and creating Spanish and Portuguese portals to tap the South American market.